Dartmouth Idol celebrates its 10th birthday this year, and founding director Walt Cunningham is pulling out all the stops for tonight’s finals. 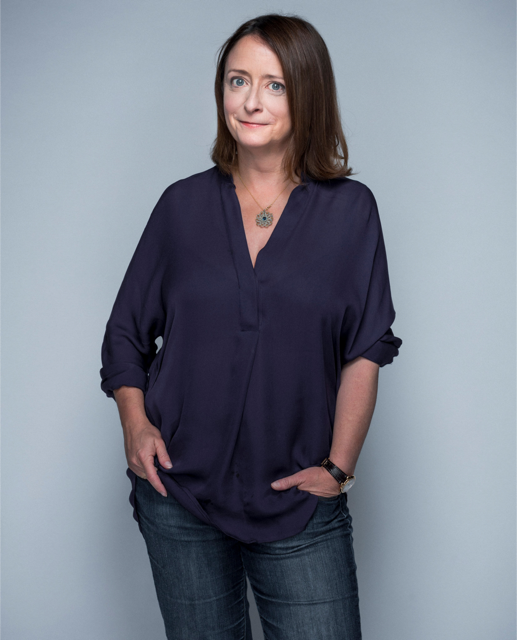 The evening features a celebrity host: comedian Rachel Dratch ’88, of Saturday Night Live fame. Several other alumni will also be involved in the production, including judges Xavier Curry ’14 and Kaitlyn Sheehan Ramirez ’09 Tu’16, and Nikhil Arora ’16, Courtney Davis ’09, Chris Gallerani ’15, Nathaniel Graves ’13, Joshua Kol ’93, Jonathan Myers ’87, and Grant Neubauer ’13. If you missed out on tickets to the sold-out show, don’t worry! You can join the fun through an online livestream tonight at 8 p.m.
Dartmouth Alumni Relations caught up with Dratch to learn more about her time at Dartmouth and what she’s most looking forward to about tonight’s show. What made you come to Dartmouth as a student? My decision to go to Dartmouth was kind of random, but when I visited everyone was so enthusiastic about it I got sucked into the hooplah! I remember I was on a payphone in the Hop (yes this was back in the day of payphones) and talking to my mom saying I thought I might pick Dartmouth and someone leaned out from the next phone booth and said "Go here! You'll love it!" What is your favorite memory of your time at Dartmouth? My favorite memory that jumps to mind is the improv group that I got to join my sophomore year. It was called Said and Done back then. It was with this group that I felt truly comfortable at Dartmouth—like I had found my "people." We would perform at Collis and sort of learn as we went. We weren't trying to put on the perfect show, but I dare say we were pretty good, rough edges and all! Later when I went on to study improv in Chicago I would learn the biggest thing to conquer is your fear—you have to enter a scene confident that you will find the "game" of it. And when we were just messing around in the improv group at Dartmouth for whatever reason we didn't have the fear! Other fond memories were my sophomore summer, LSA [Language Study Abroad] France (I still keep in touch with my French family though I can barely speak the language!) Summer Rep—the theater program I did, which I'm not sure they still do. How did you get involved with Dartmouth Idol? I met Walt Cunningham at an arts event several years back and then he had me participate in the Hop anniversary show. He's been asking me to come back for a student event for a while and this is the first time the timing worked out. I love Walt's energy! I also met Joshua Kol ’93 [director of student performance programs] at the Hop anniversary event and again when I recently was on the committee to pick the new director of the Hop, and he and I hit it off. He has also been instrumental in making this hosting gig happen. What are you most looking forward to as host of Dartmouth Idol? I guess honestly just hearing the singing! And not the judging part! I'm no singer myself so I'm sure I'm going to want to give them all 10s. The biggest challenge will be to pick a winner. How would you describe Dartmouth to someone outside of the college? I'm not sure how to answer this because I feel like the school has evolved a lot since I was there. When I look around the campus now I'm happy to see the nerd ratio seems to have gone up. Overall I'd say it has every resource for every field of study you could possibly want to pursue. It's also a great place for those who love the outdoors or are extremely good-looking.